Comprehensive review of Nature’s Plus Source of Life Prenatal. See what real experts and actual users have to say about this prenatal vitamin. You would be hard-pressed to find a perfect prenatal vitamin, but Nature’s Plus Source of Life Prenatal vitamin has many aspects to be desired by expectant mothers. Every major supplement needed for a healthy mother and baby during pregnancy are present in the vitamin itself, although only about half of them have the proper Recommended Dietary Allowance (RDA), which is both a bummer, but also pretty common as far as prenatal vitamins are concerned. 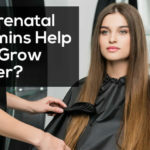 They are also easy to take as far as the ease of incorporating them into your busy schedule is concerned, and they don’t leave behind any gross aftertaste, but they are also pretty large pills and more difficult to swallow than the majority of other prenatal vitamins on the market. I ended up rating this a 3.5/5 stars because I believe Nature’s Plus Source of Life Prenatal vitamins are slightly better than most prenatal vitamins on the market, but definitely far from perfect. With an affordable price tag, they should definitely be considered as a vitamin to take while pregnant, but only if you’re expecting to supplement with other vitamins. For the most part, Nature’s Plus Source of Life Prenatal vitamins are easy to take. The only instruction it provides is to take two tablets daily. You can take them anytime of day, and with or without food, so I really appreciate that flexibility! I will say that the tablets are pretty difficult to swallow, and I’m not someone who normally has a hard time taking larger pills. These vitamins are very large, and really dry, so definitely be sure to have a lot of water on hand, and make sure to take them one at a time. If you are someone who struggles to take larger pills, you may run into a problem here. Other than that aspect of it, however, these prenatal vitamins are super easy to incorporate into your daily routine. Since these are tablets versus a vitamin you chew or a liquid vitamin, Nature’s Plus Source of Life Prenatal vitamins don’t really have a taste! I think we all know what an average vitamin tastes like before you swallow it, and that’s exactly what these taste like, too. 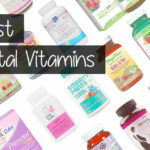 In addition to not really having a taste, these prenatal vitamins also don’t have any weird aftertaste or give you gross burps throughout the day, which is a major win! I had never heard of Nature’s Plus Source of Life Prenatal vitamins before actually trying them out. I was really impressed and wary of just how many tablets you get for such a cheap price tag, so I wasn’t totally sure how these were going to measure up against other prenatal vitamins on the market. After analyzing the ingredient list, I found that these prenatal vitamins are just okay. They definitely have some positive aspects to them but they fall short in other areas, as well. Before jumping into the full analysis of the ingredients, I wanted to make sure and point out that Nature’s Plus Source of Life Prenatal vitamins contain 800 mcg of Folate, which is the perfect amount! In addition to being the correct dosage, it’s also in the form of Folate, which a lot of pregnant mamas need, so it’s definitely something worth mentioning! Some other positives regarding the ingredient list of this prenatal vitamin is that they have the perfect amount of Thiamin-B1, Riboflavin-B2, Niacin-B3, Pyridoxine-B6, Biotin-B7, Vitamin B12, Vitamin C, Vitamin E, and Zinc. They also contain a probiotic blend, which I think is a nice addition to a prenatal vitamin! They are strangely really high in Vitamin A—double what the upper limit it, so that’s a little bit weird, but not something to be worried about! On the flip side, Nature’s Plus Source of Life Prenatal vitamins are low in Vitamin D, Vitamin K, Choline, Calcium, Iron, Iodine, and Omega-3s. I’m not too bothered by the Calcium and Iron being low since you can find them in a lot of foods, but I really hate when prenatal vitamins don’t have the proper amount of Choline and Iodine specifically. Choline plays a major role in the creation of organs and brain development, and Iodine is hard to come by in foods and is crucial for the healthy development of the central nervous system for your baby. So when you put the pros and cons next to each other, Nature’s Plus Source of Life Prenatal vitamins are just okay. They have every major supplement present, which I appreciate, but only about half of them have the proper RDA, which is a let down. I’m a little torn on whether Nature’s Plus Source of Life Prenatal vitamins are worth the money. You get a lot of doses for a little amount of money, so they’re definitely budget-friendly. And I wouldn’t consider these a flop, especially since they have every major supplement included. While not every supplement has the proper dosage included, I think these are worth the money and the price tag represents what you are actually buying. Nature’s Plus sells their vitamins on third-party websites and health stores, such as Sprouts. The return policy for these vitamins is dependent on the individual retailer where you purchase the vitamins from, so make sure you investigate their return policy before purchasing! 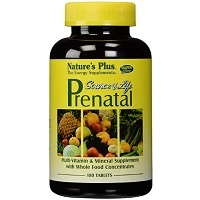 To buy Nature’s Plus Source of Life Prenatal Vitamin, click here. Ease of Use Take two tablets daily. Can be taken at anytime, with or without food. Tablets are very difficult to swallow. Ingredients All major supplements are present but only about half at the proper RDA. Just okay in terms of prenatal vitamins.